The Chancery is located on Calle Eresma 2, 28002 Madrid. The entrance to the Consular Section is right around the corner on Calle Guadalquivir 6. 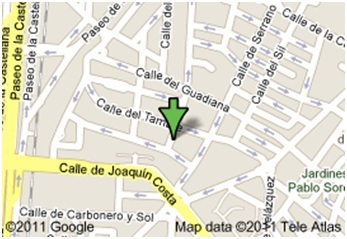 The Labor section is located at Calle Alcala 149 -2°D, 28009 Madrid. The embassy is open to the public from Mondays to Fridays from 9:00 am to 5:00 pm. The embassy is closed on Saturdays and Sundays and on Philippine and Spanish declared holidays. 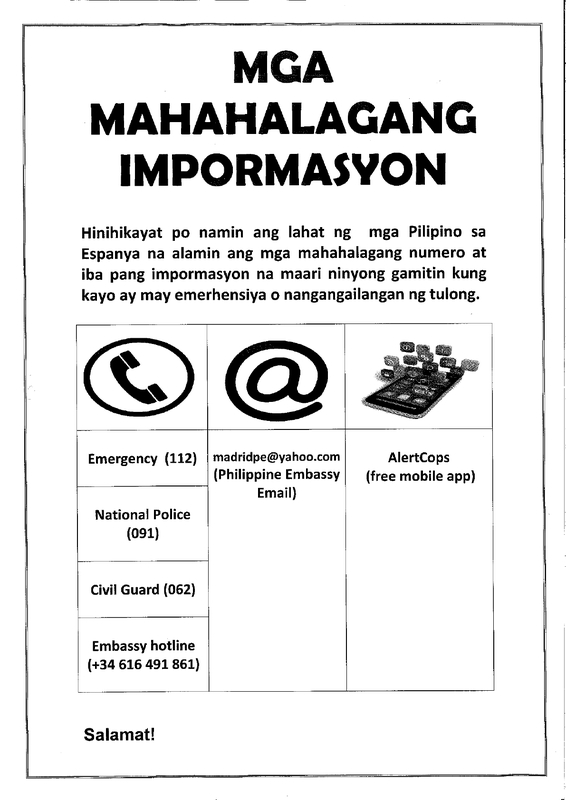 On these days, Filipinos in distress who need urgent assistance may call the embassy hotline on +34 616 491 861. The chancery is accessible by metro (Republica Argentina stop on the Circular line, linea 6) and by bus (Circular 1 and 7). The following table shows the main contact details for the different Embassy sections. You can also contact the Embassy through the online Contact Form. Please click this link for a complete list of contact details for Honorary Consular Officers in Spain and Andorra.